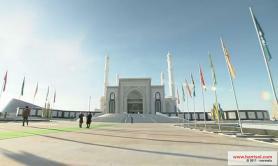 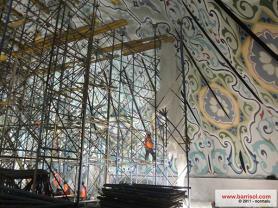 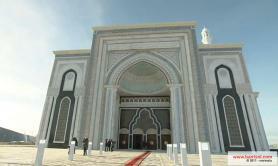 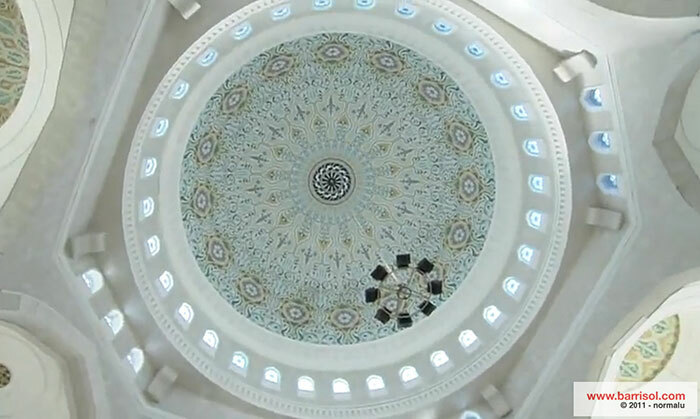 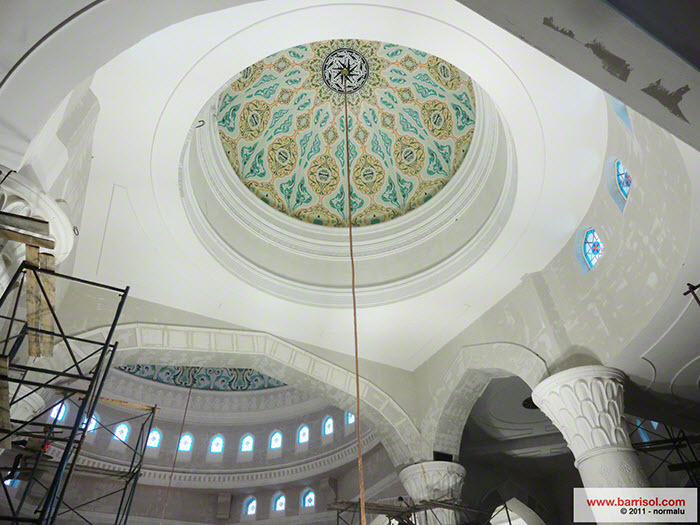 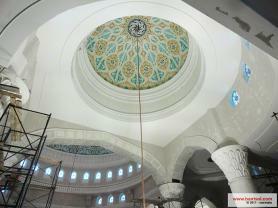 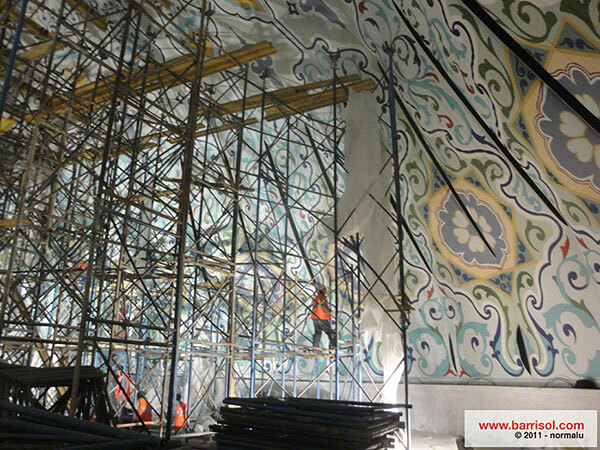 The biggest mosque of central-Asia is still under construction in Astana, Kazakhstan. 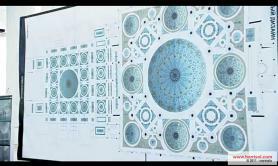 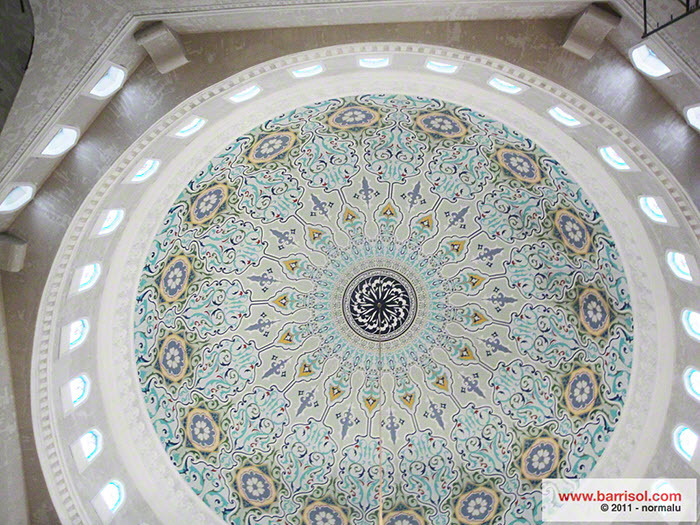 Each of its domes is fitted with Barrisol sheets, printed with oriental patterns. 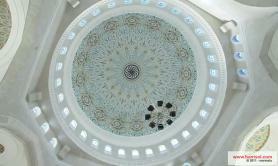 The biggest dome is 28m wide and 51 m high. 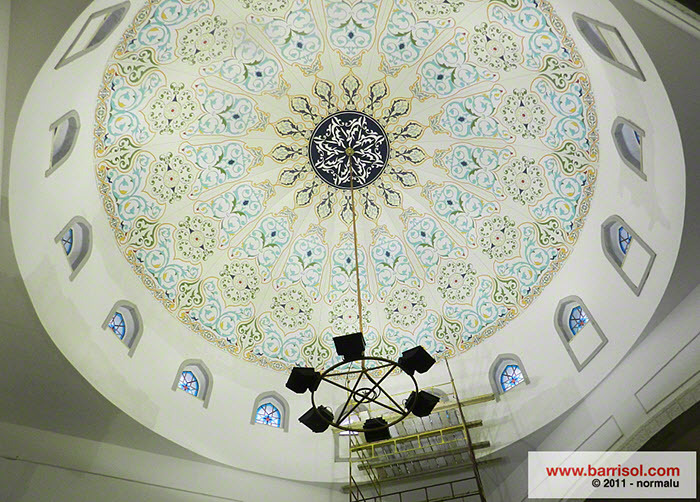 Also, four minarets of 77m high give an impressive view of the 10.75 hectares site. 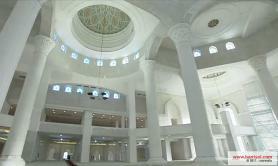 The mosque can host up to 5000 people. For the entire project, more than 136 Barrisol printed stretch ceilings have been used, on the Barrisol sheet Xtrem Blanc Mat X01010 totaling 2500 m².